How do we understand and construct gender bonds? There is much excitement and interest in the potential of gender bonds, but how do we design them for impact? Come join in our small group design-sessions working through the various considerations of gender bonds, by creating “pilot” products to be shared with the group. Together, we will work toward increased familiarity with technical aspects of gender bonds and draft guiding principles to stimulate future bond issuances in global markets. ...building strong and resilient businesses during start up, high growth and turnaround periods, as well as optimizing funding structures to ensure successful emerging markets investments (debt andequity) and exits. Kaylene has mentored and supported dozens of international social enterprise start-ups through incubator programs, business plan competitions, and one-on-one. Kaylene founded Athena Global Alliance as a consultancy for inclusive access to finance and investment in emerging markets in 2009; the firm expanded into renewable energy into 2013.Kaylene has an MBA from the University of Pennsylvania Wharton School of Business and an MA from Johns Hopkins School of Advanced International Studies (SAIS), and is a returned Peace Corps Volunteer (Poland 94-96). She is an avid traveler, textile aficionado, and Vipassana meditation practitioner. Kaylene is based in Denver, Colorado (USA). 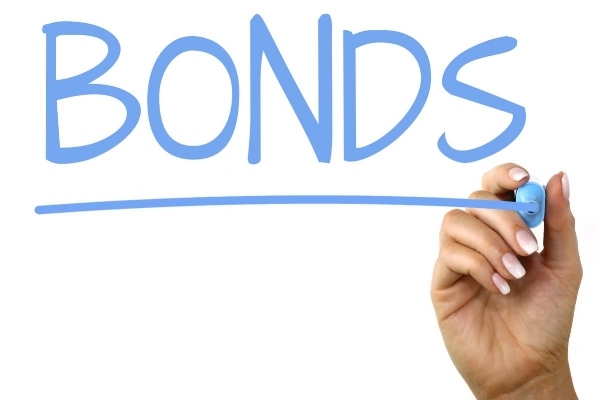 ...the first retail Green Bonds to market and have since grown the market substantiallly by continually connecting both green bond issuers and interested green investors around the globe. By regularly delivering on Green Bond, Social Bond and Sustainability Bond mandates from a broad range of key clients globally, Suzanne and team have led Bank of America Merrill Lynch to their number one league table standing for three years running. Buchta was one of the two original co-authors of a white paper on the framework for green bonds, published in September 2013, which formed the basis for the ͞Green Bond Principles.͟ These guidelines for transparency and disclosure for green bonds are now globally recognized and managed by ICMA. Since then Suzanne has served on the Executive Committee for the Green Bond Principles and the Social Bond Principles and Sustainability Bond Guidelines. In September 2017 she was elected to the Board of ICMA, lending her expertise on ESG Fixed Income to ICMA’s overall strategy. In 2015, Buchta was named the Financial News’ Editors Choice for her instrumental role in the green bond market. In 2014, Buchta was chosen as a Bloomberg New Energy Finance FiRe Finalist for her work on͞Catapulting Green Bonds from a Niche Market to a Mainstream Market.͟ She has spoken on Green Bonds at the United Nation’s Abu Dhabi Ascent, and numerous other conferences globally. ...previously Head of Portfolio Management at Treasury Corporation of NSW Treasury Corporation of NSW, responsible for AUD15bn in cash and fixed income portfolios. She has extensive experience in financial markets and investment management, including senior roles at National Australia Bank and Alliance Capital Australia. Victoria holds a Bachelor of Science (Psychology) Honours from UNSW, a Bachelor of Economics and a Master of Business Law from Monash University. ...government spheres and he advises on capital across the entire spectrum from commercial through impact investment sources. Jason has assisted the raising of over $1.5bn in the last couple of years, including advising on the first rated bond aggregation vehicle established for local councils in Australia. This work lead Jason to completing a bond aggregation vehicle for social housing for the Federal Australian Government, which is now being established. Notably Jason is leading EY’s contingent in DFAT’s Investing in Women (IW) initiative, and is proud of the four gender funds that EY has assisted IW in establishing to date. Currently through IW, EY is completing a feasibility study for the establishment of a gender bond aggregation vehicle in South East Asia, to assist promotion of gender equity across the region. Jason holds a Masters of Applied Finance from Macquarie University and a MBA from the Australian Graduate School of Management.